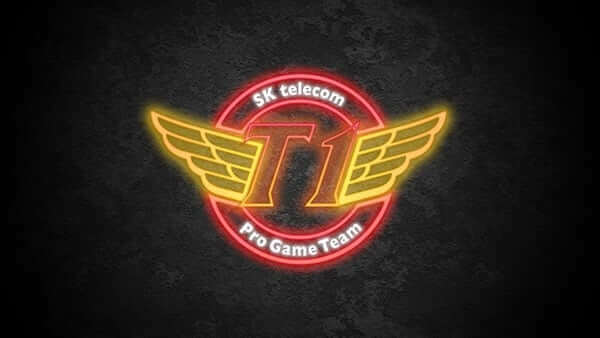 Over the years, the LCK became the hallmark of competitive League of Legends. Teams from all over the world have strived to beat their South Korean counterparts at international events in an effort to dispute their dominance. And yet, the LCK representatives never wavered. Among them, Kingzone DragonX stand out as League of Legends juggernauts that seamlessly took over their region. What will it take to challenge them at the 2018 MSI? And can someone actually do it? At this point, Kingzone’s playstyle is well known. Many teams and coaches attempted to study and emulate it, and yet, no one even came close to cracking the code. A huge reason behind this is Kingzone’s roster. This lineup is built around exceptional talent, so is it really that surprising that no one can mimic its approach to the game? Then, you have to account for their insane versatility. Khan always seems to in the spotlight. Ignoring him can be deadly because Kingzone’s carry-oriented top laner will steamroll his opponents if left unchallenged. But if you devote jungle resources to shutting him down, you’re essentially giving free reign to his teammates. Bdd and Peanut pull off a top lane play. PraY and GorillA can also act as a metaphorical lightning road. The veteran duo has the perfect combination of brains and brawn, and its consistency became the foundation of Kingzone’s strategies. Bdd and Peanut add the final pieces of the puzzle, as they excel at using mid lane priority to pull off invades and cross-map plays. However, Kingzone truly come online in the mid game. Just like most top-tier Korean lineup, they excel at finding good teamfights and pressing their advantages, but it’s the relentless aggression that sets them apart. Most teams will let you recover after a blunder, but making a mistake against Kingzone is akin to a death sentence. And even if you manage to keep up, Kingzone’s veterans will overwhelm you in the late game. To make matters worse, they aren’t afraid to experiment. Even though their current playstyle was never exposed, the team decided to switch things up by adopting the Kai’Sa pick for the LCK finals. This turned the usually reserved duo of PraY and GorillA into the spearhead of their offensive and proved that despite their immense strength, Kingzone are still improving. So, are they the perfect team that no lineup could ever challenge? Well, not exactly. If you want to take down Kingzone DragonX, you have to start with the draft. All of their players are seasoned veterans with champion pools resembling champion oceans. So, instead of banning out particular players, it’s smarter to focus on power picks. Olaf is already a formidable weapon in the hands of a capable jungler, but you absolutely have to deny it from Peanut. Otherwise, Kingzone’s jungler will take over with continuous invades. On a similar note, Peanut has Nidalee in his arsenal. And while it’s debatable whether you should waste resources on an off-meta pick, Afreeca Freecs seemed to consider it strong enough to ban it in three out of four LCK finals games. Jungle isn’t the only position to be wary of, though. PraY put on an absolute clinic on Kai’Sa, so taking away the Daughter of The Void is a good idea. Khan’s trademark Jayce also exerts immense side lane pressure, and banning it is almost mandatory if your top laner can’t handle the heat. Khan gives away a solo kill to Kiin’s Sion. Finally, Bdd excels at finding plays in the side lanes, and picks like Taliyah and Sion only play to his strengths. Sion is particularly noteworthy because he’s one of the few champions Khan struggles to lane against—so much so that Kiin managed to score a solo kill against him in the LCK finals. Granted, this might have to do with the nature of the Sion vs Gnar matchup, and Khan didn’t experience the same issues on Cho’Gath. But if you can force Kingzone’s top laner on tanks, that’s already a win in our book. Also, you have to consider picking Tahm Kench. This isn’t necessarily because Kingzone have a hard time laning against the oversized tadpole. No, the main reason for unbenching the Kench is his ultimate. As we’ve mentioned before, Kingzone rely on invades to track the enemy jungler and enable their laners. However, they also tend to wander deep into the enemy territory, and Tahm Kench is perfect for securing the numbers advantage and cutting away their escape routes. Of course, the same logic could apply to other picks with globals. But most of these champions are played in the mid lane, and Kingzone make sure to secure mid priority before committing to jungle skirmishes. But even for them, it’s tough to simultaneously pindown the enemy bot lan. Picks alone aren’t enough to win against the best team in the world. In game, Kingzone’s weaknesses resemble barely visible chinks in the armor. Sure, they exist. But just knowing they’re there won’t make it any easier to strike them. For example, Kingzone haven’t been as top lane-focused as they used to be in the past, so targeting Khan might be a viable tactic. But focusing on the top lane will let PraY and GorillA run free on the other side of the map. And that’s not something you can afford in the AD carry meta. Historically, Kingzone have been at their weakest when the PraYrillA duo falls behind, so it’s still smart to put pressure on the bot side of the map. Even if you can’t kill them, securing Elemental Drakes will give you an additional point of strength in the late game. Plus, having bot lane priority makes it easier to punish jungle invades—especially if you’ve also secured the Tahm Kench pick. Keep in mind, though, that Kingzone tend to avoid the lane kingdom approach. Whenever their players start a 1v1 or a 2v2 trade, Bdd and Peanut instantly move in to support them. With that, chasing kills can cost you dearly. Unless, of course, your own mid laner and jungler are ready to match the rotation. Finally, the shadow of Longzhu’s Worlds failure still looms over Kingzone DragonX. This is especially noticeable around Baron. If you can catch them out of position and secure vision control in the pit, Kingzone don’t seem to have a clear idea of how to approach the objective. Granted, you still have to set things up perfectly, and actually rushing Baron can backfire by providing Kingzone with a great teamfighting opportunity. But this is still the area where Kingzone make the majority of their mistakes, so it’s a good idea to learn to control it. So, which MSI teams actually stand a chance against Kingzone? Royal Never Give Up are the obvious option since Uzi can go toe-to-toe with PraY, and Xiaohu has what it takes to challenge Bdd. Of course, Kingzone can counter this by putting a stronger emphasis on the top lane, as Letme and Zz1tai will have a hard time standing up to Khan. The same applies to the jungle since neither Karsa nor Mlxg will be able to keep up with Peanut. Surprisingly enough, Team Liquid might also pose a threat to the Korean powerhouse. Doublelift is a very lane-dominant AD carry, so if he can get a good matchup maybe—just maybe—he can hold down Kingzone’s duo. Meanwhile, Impact and Pobelter built their entire careers around being immovable objects that don’t lose 1v1 matchups, which is the perfect answer to Khan and Bdd. The obvious downside is that Doublelift doesn’t have the best track record at international tournaments, but if he shows up, Team Liquid does have a legitimate shot. Fnatic will likely face the most issues. They conquered Europe with stellar teamfights, but it’s hard to imagine them outteamfighting Kingzone. The meta also shifted away from sOAZ’s champion pool, and Bwipo is far too green to handle Khan’s aggression. Finally, Kingzone’s high-tempo playstyle is a problem in and of itself since Fnatic are at their best when they can stall the game long enough for Rekkles to hit his power spikes. In the end, all teams have something that can threaten Kingzone, but none of them have the complete skillset to overthrow the Korean overlords. Sure, they might be able to steal a few group stage wins. But when the dust settles, MSI is very likely to have another LCK champion.